HEAD BAND INCLUDED! This is the pretties short set this season! 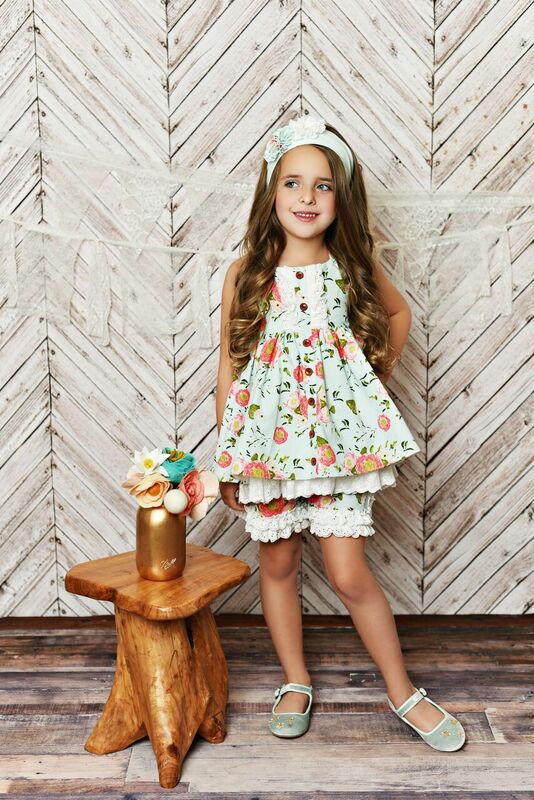 We love this Coral Vine two piece short set for spring. 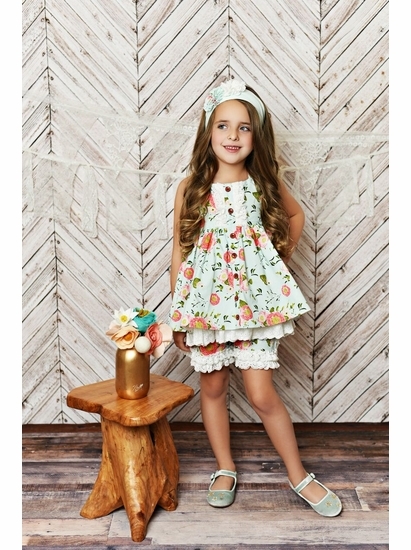 The swing top is a beautiful floral and just the right amount of flair! Its bodice is accented and trimmed with eyelet lace and ruffling. The shorties pull on easily with a soft elastic waistband for a great fit. 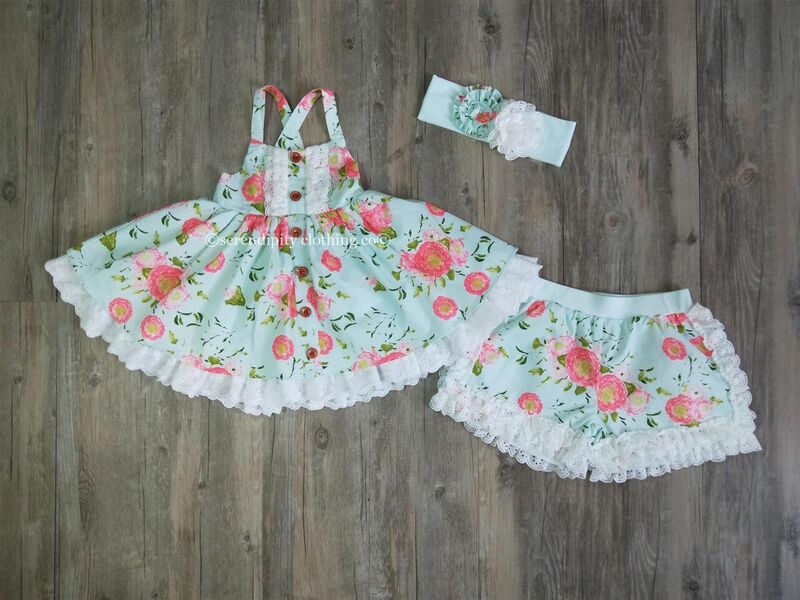 This set easily dresses up and coordinates with our sister sets from this line. All pieces are sold separately.